This calcium bentonite clay contains more than 60 mineral compounds and has been proven to be immensely helpful in enhancing digestion and growth, as well as neutralizing metabolic toxins. In an artificial environment such as a koi pond, the clay helps return minerals to the water and stabilizes its chemical make-up. In this way, the water more closely resembles the natural habitat of koi. The highest quality koi in the world are raised in mud bottom ponds. 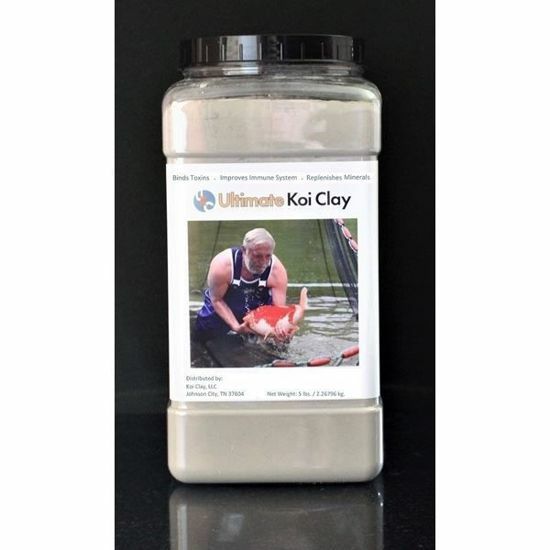 Even the top Niigata Koi breeders have to add fresh clay to their ponds to replace the minerals and trace elements needed to raise top Niigata Koi.